Travelling to exotic places was something that I was always scared of, but thanks to Chan's World for bringing us around the world. 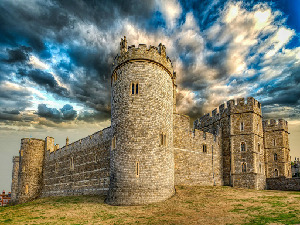 Upon arrival, transfer for your flight to Bishkek, the capital of Kyrgyzstan. 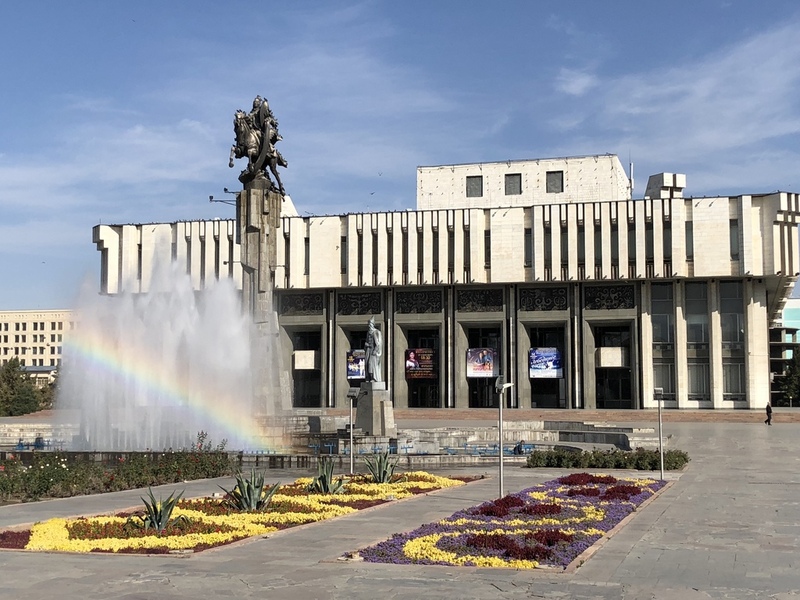 Embark on a city tour of Bishkek, which includes Pobeda Square, built in honour of the victory in the Great Patriotic War. Next, visit Oak Park, home to an open-air sculpture exhibition as well as several important monuments and buildings. Head to Ala-Too Square, also known as Lenin Square until Kyrgyzstan gained its independence from the USSR in 1991. 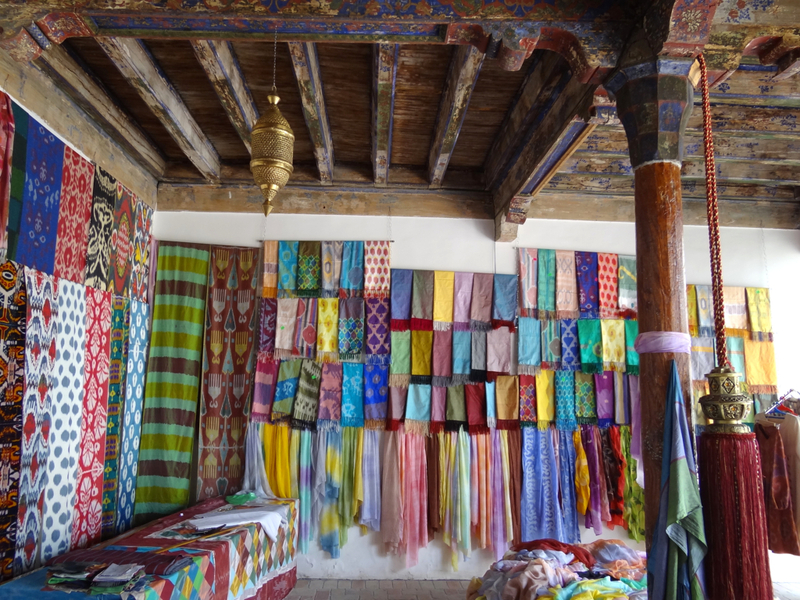 After lunch, head to busy colourful Asian bazaar, where you can purchase local tapestry and produce. 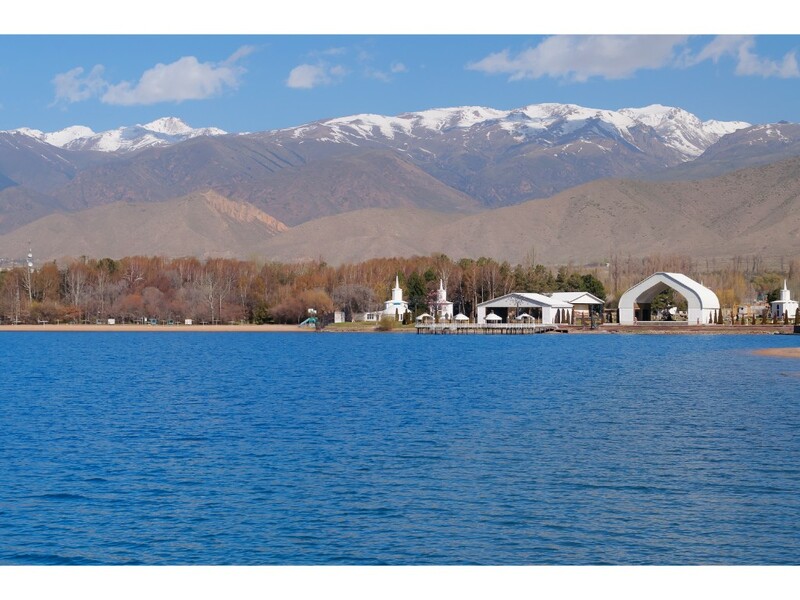 After breakfast, enjoy a scenic drive to Issyk-Kul, the 2nd largest alpine lake in the world. With diverse flora and fauna, Issyk-Kul and its surroundings are widely considered to be one of Central Asia’s most remarkable locations. 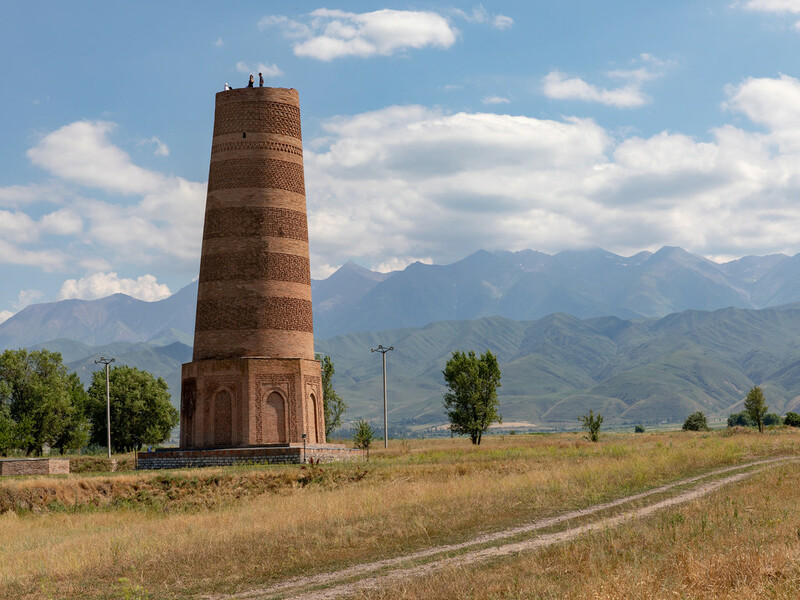 En route, visit Burana Tower, one of the few monuments remaining from the ancient city of Balasagun. 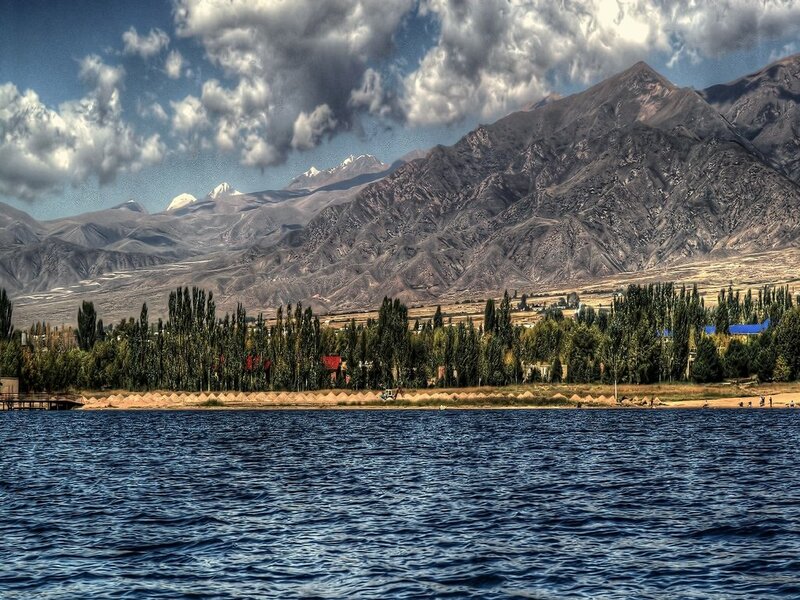 Upon arrival at Issyk-Kul, spend the rest of the day at leisure to explore the surroundings. 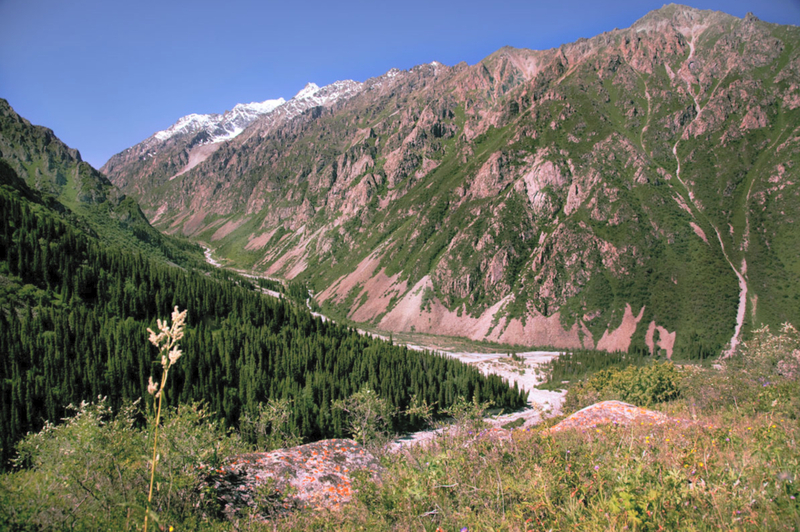 Continue your scenic drive to Karakol, stopping to visit the open air petroglyph’s museum dating back 800 BC. Craved by the local shamans it featured images of primitive long-horned ibex, horses, camels and snow leopards. There are several thousand petroglyphs here, providing a glimpse into the world of the Iron Age. 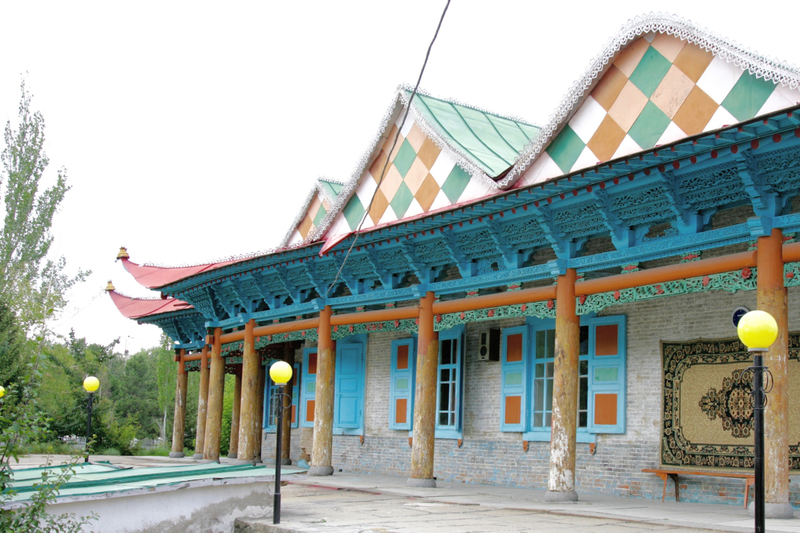 While at Karakol, visit the Dungan Mosque that was built in a Chinese-style without using any single metal nail. 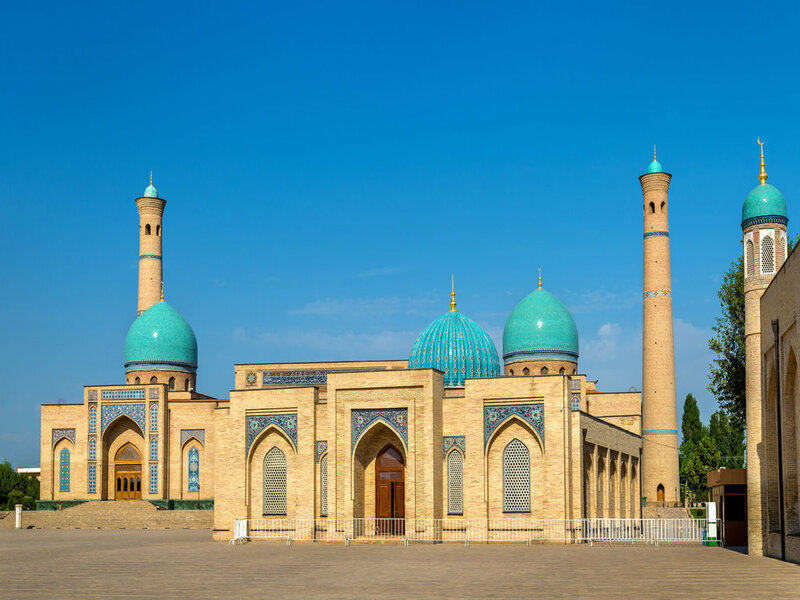 The mosque was designed by a Chinese architect, who incorporated traditional colors and designs into the architecture. There are also dragons and a phoenix, plus a wheel of fire, that are typical designs for the Dungans. Next to the mosque is a minaret in the shape of a pagoda. 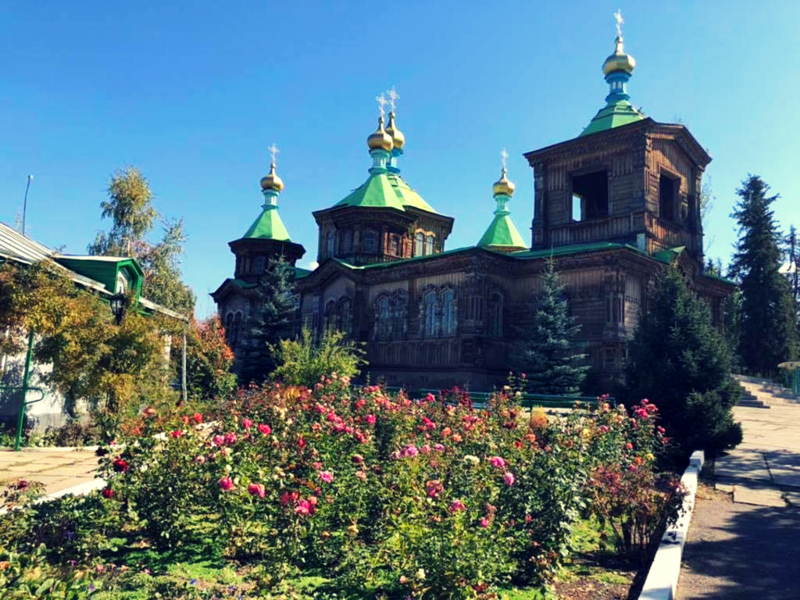 Visit an old wooden Orthodox Church which was originally built of stone in 1872 but was destroyed in 1890 by an earthquake and the current cathedral was built out of wood on a brick base and It took six years to complete. 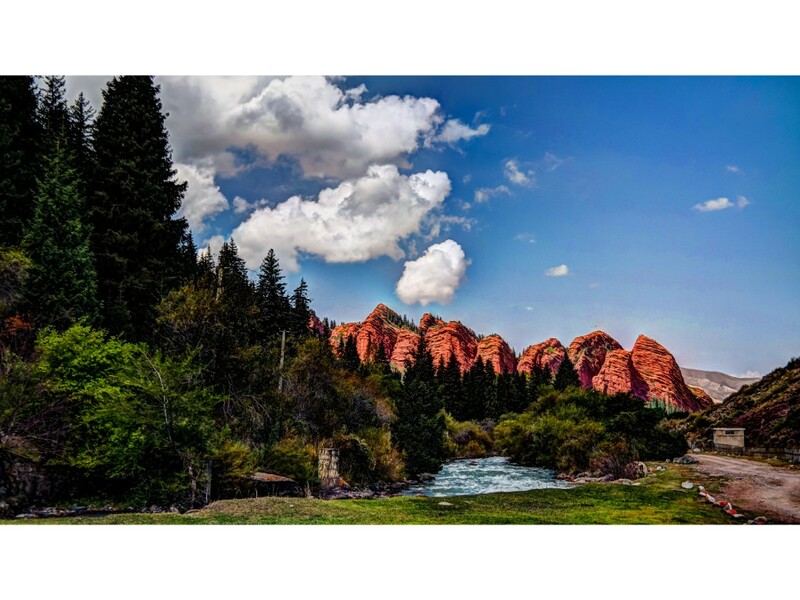 Depart for Jeti-Oguz Gorge, a protected nature conservation famous for its red-rock formations. Enjoy a 20-minute leisure hike to the hilltop and be rewarded with a breathtaking panorama of the surrounding mountain range. Continue towards Bokonbaeva village and enjoy an eagle hunting experience. 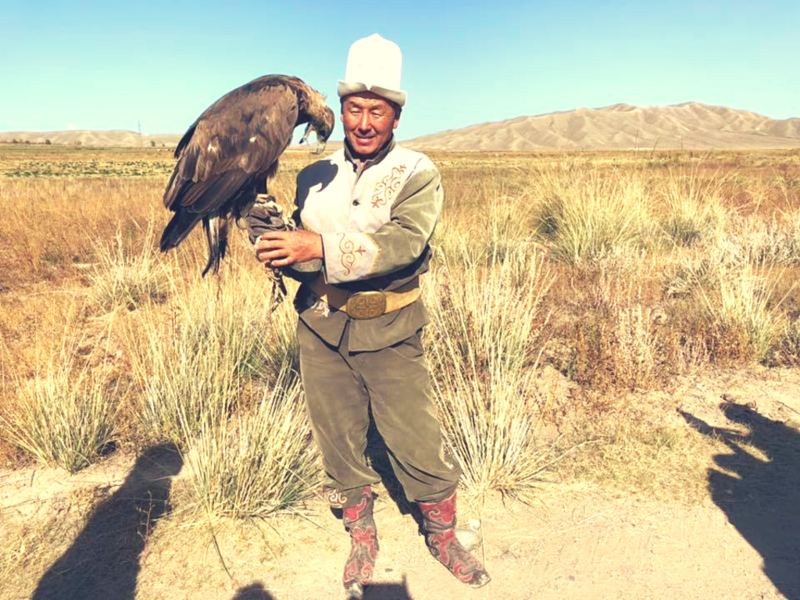 Meet a local eagle hunter and learn many interesting facts about this ancient hunting method. 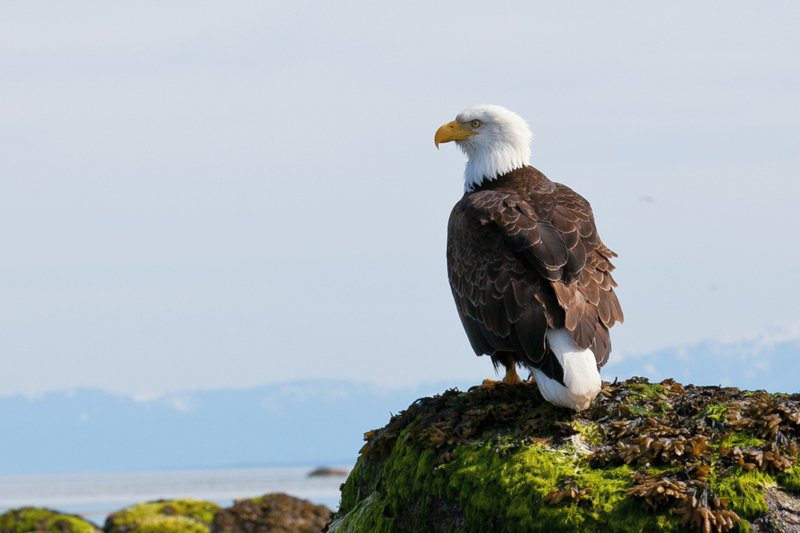 You will also be able to take a memorable photo as the eagle lands on your hand as a perch. 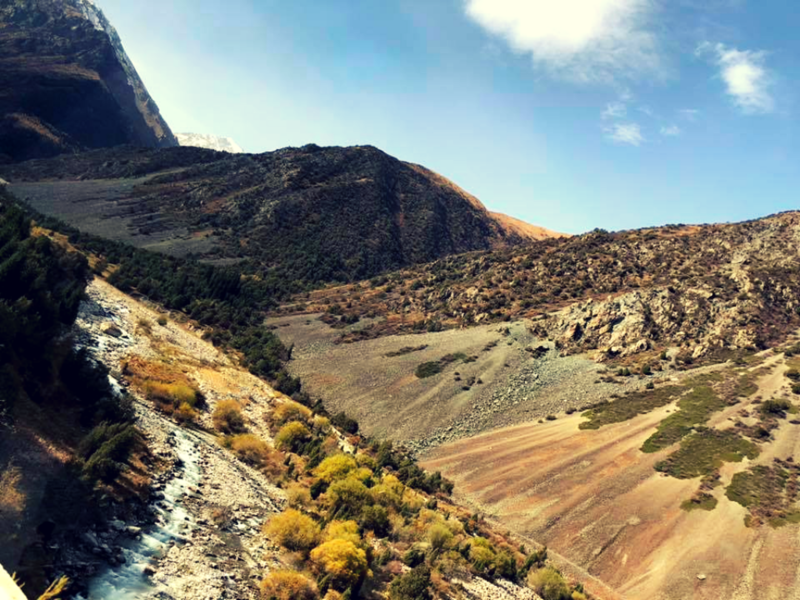 After breakfast, embark on a short hike at Ala Archa National Park, an alpine national park in the Tian Shan mountains of Kyrgyzstan. The park gets its name from the brightly coloured junipers that dot the park. 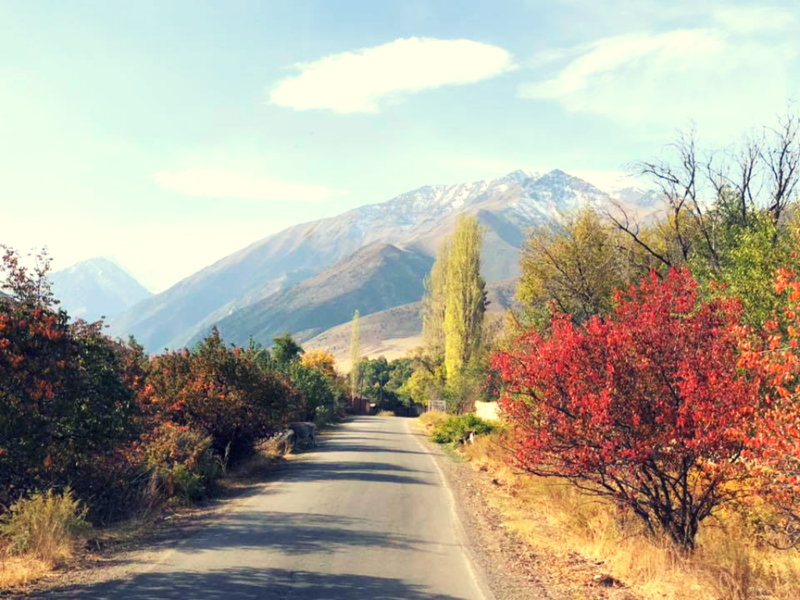 Return to Bishkek for your overnight stay. 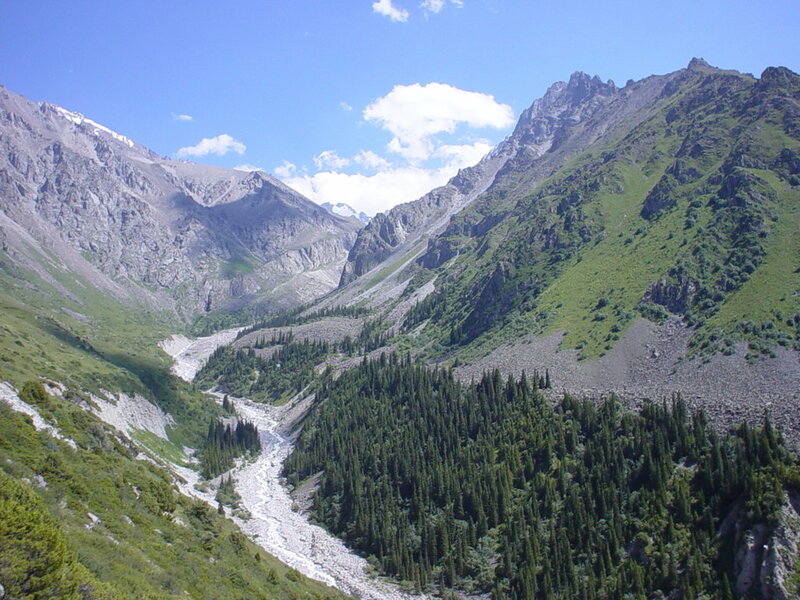 After breakfast, depart on a scenic drive for Almaty, the largest city in Kazakhstan. 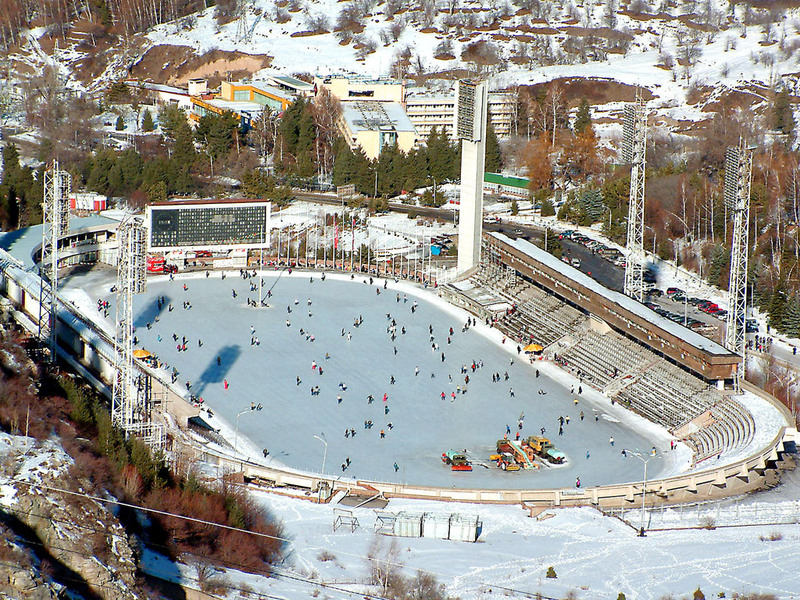 Almaty was also the former capital of independent Kazakhstan before it was moved to Astana in 1997. 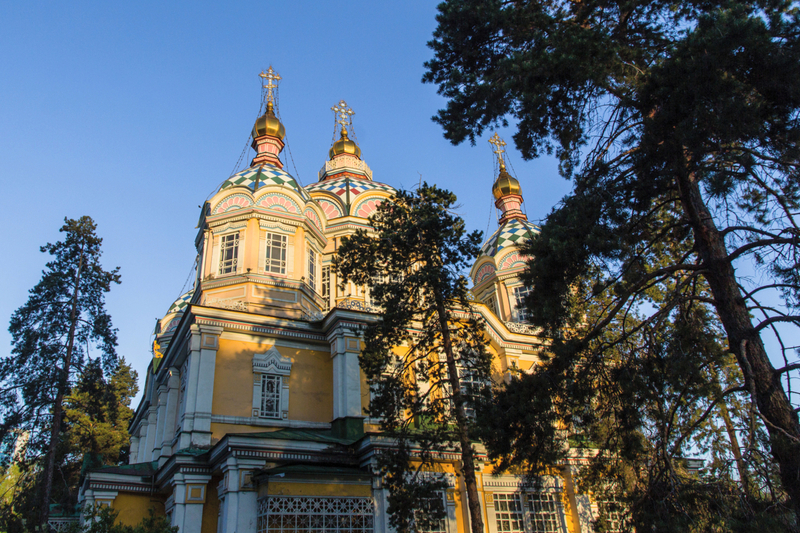 Upon arrival, visit Ascension Cathedral, the 2nd tallest wooden building in the world. Head to Park of 28 Panfilov Guardsmen, dedicated to the 28 soldiers of an Almaty infantry unit who died fighting Nazi German invaders outside of Moscow in World War II. 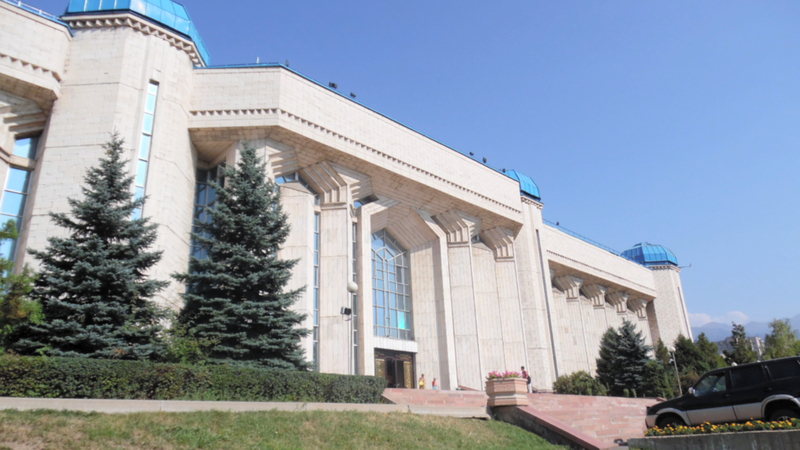 End your city tour at Museum of Kazakh Musical Instruments. 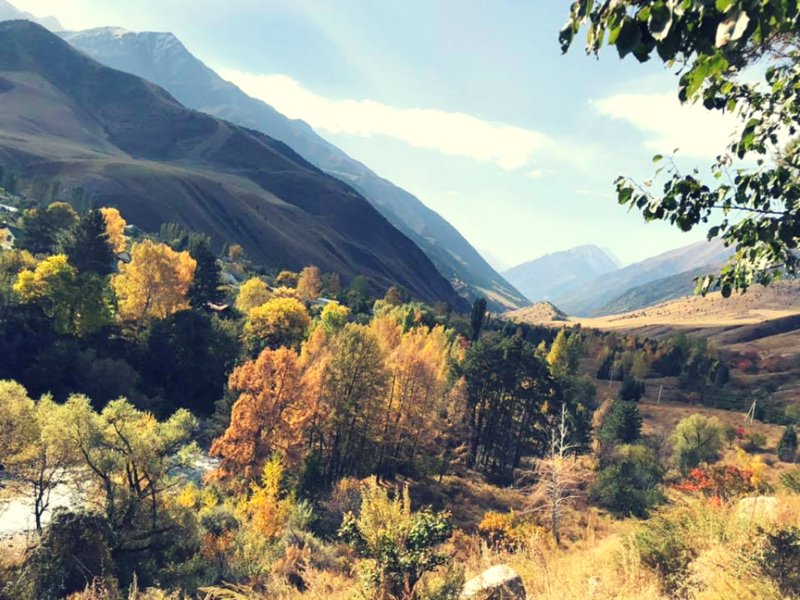 In the evening, drive to Kok-Tobe Mountain to enjoy a panoramic view of Almaty. 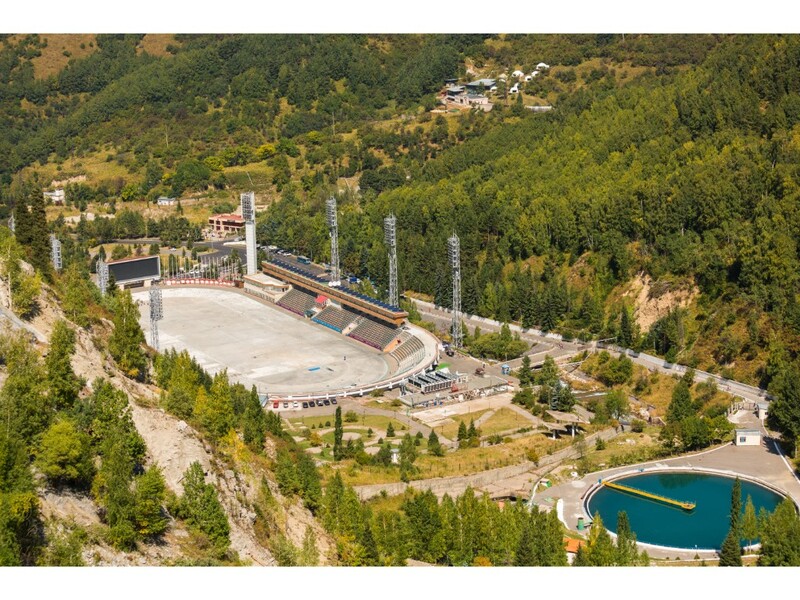 After breakfast, drive to High-Mountain Sports Complex Medeu, located in the mountains at 1,691 metres above sea level making it the highest skating rink in the world. After lunch, visit hawk nursery, a place where people train hawks and eagles for hunting. Learn about the amazing tradition of Kazakh hawk hunting and enjoy the opportunity to take photos of these birds. Visit Central State Museum, one of the biggest museums in Central Asia showcasing paleontological and archaeological collections, and artefacts of traditional Kazakh culture and history. 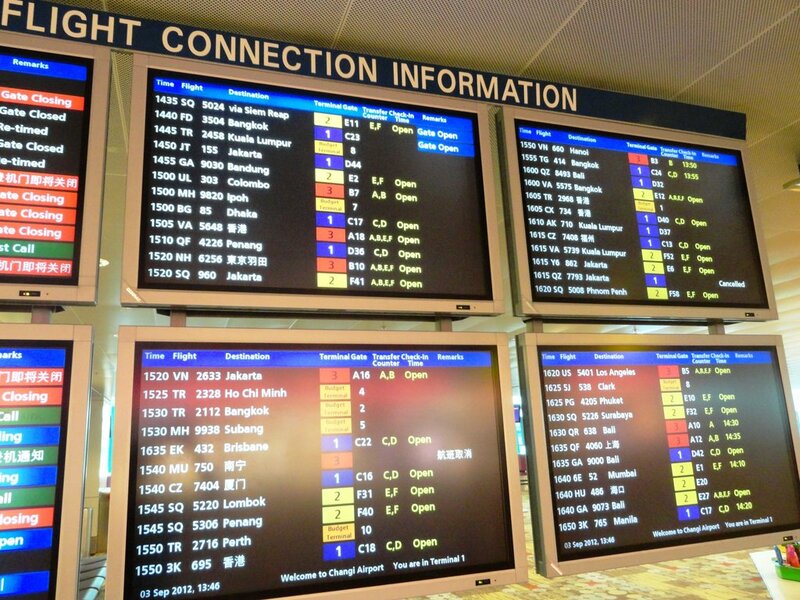 After lunch, transfer to the airport for your flight to Tashkent. 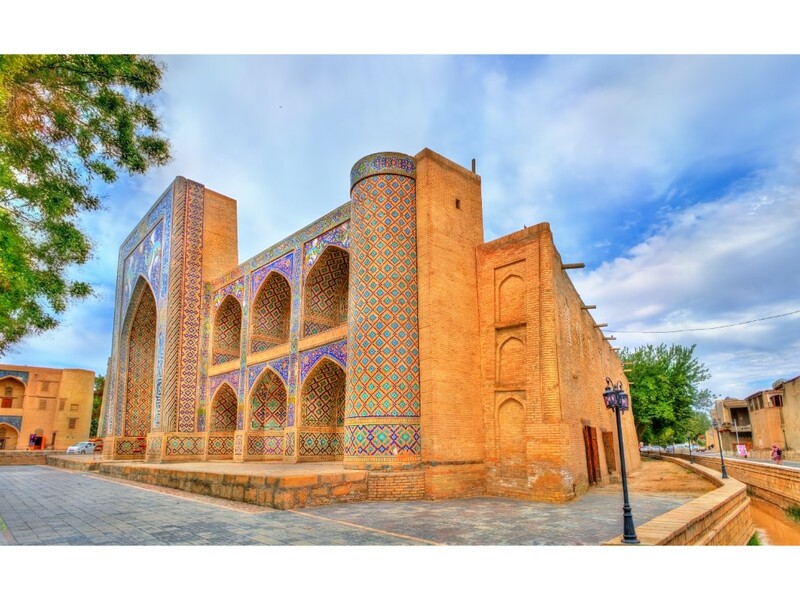 After breakfast, transfer to the airport for your domestic flight to Bukhara. 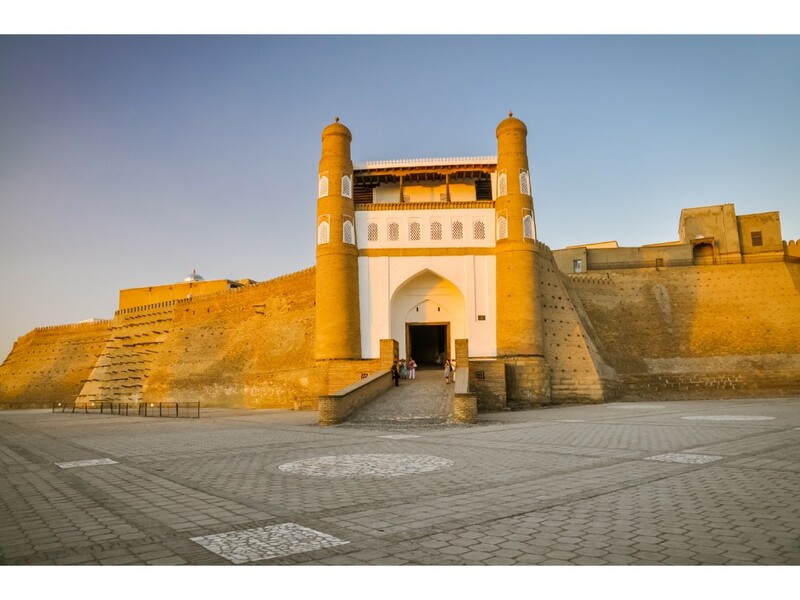 Upon arrival, visit Ark fortress, the most ancient monument of Bukhara. 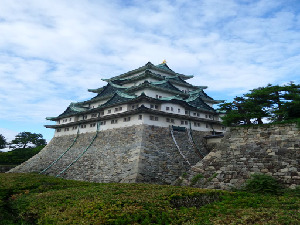 Currently, the fortress is a tourist attraction and houses museums covering its history. Visit Bolo Hauz Mosque, an architectural monument situated at Registan Square. Next, explore Ismail Samani Mausoleum and Chashma-Ayub Mausoleum. 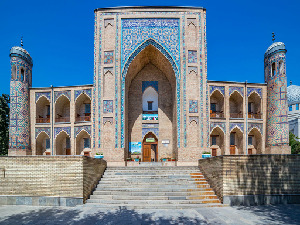 After lunch, check in to your hotel for a short rest before visiting other city sights such as Nadir Devanbegi Madrasah, Labi Hauz Ensemble and Poyi Kalon complex. 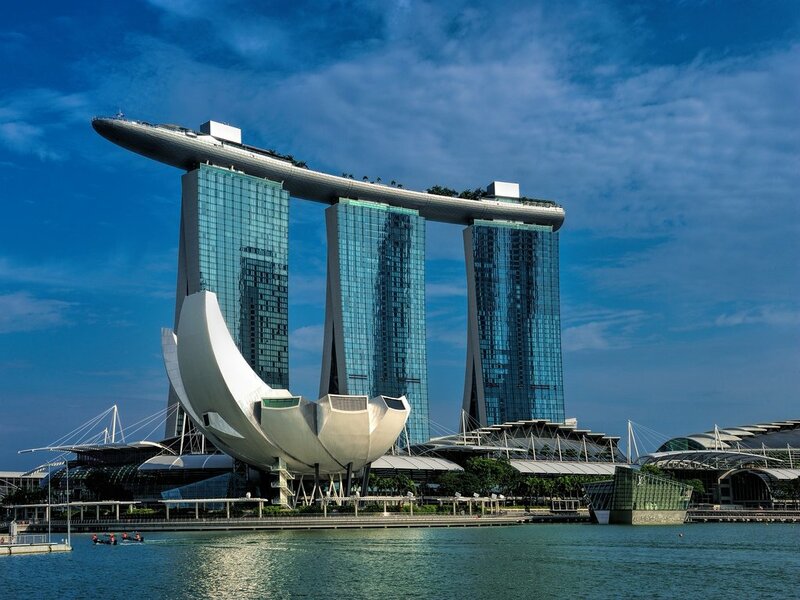 In the evening, enjoy your dinner complete with a folklore show. 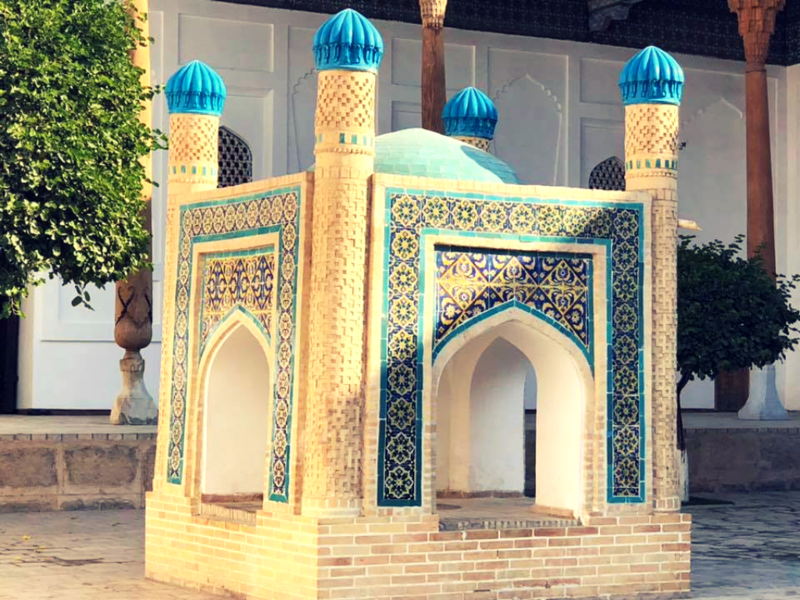 Visit the mausoleum of Bahauddin Naqshbandi, one of the most important Muslim shrines. Be awed by Sitorai Mokhi Khosa, the summer residence of the last emir of Bukhara complete with lavishly decorated rooms. in the afternoon, visit Kompol Bazaar, a marketplace full of all kinds of traders such as money changers, cap makers, jewelers and silk merchants. Tonight, enjoy a scrumptious Uzbek pilaf dinner. From Bukhara head towards Samarkand which was known to the ancient Greeks as Marakanda; ruins of the old settlement remain north of the present city. 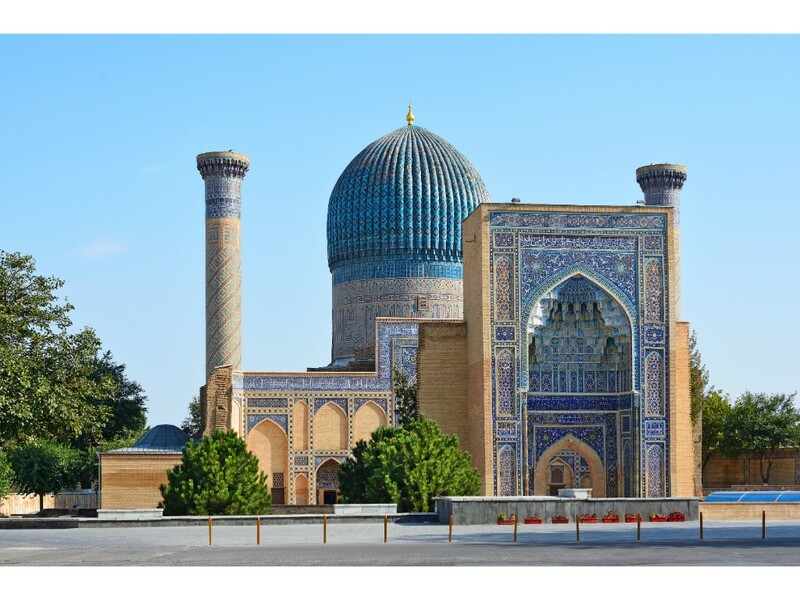 Enjoy half a day tour of Samarkand to see the famous Registan Square which is considered to be the heart of Samarkand. 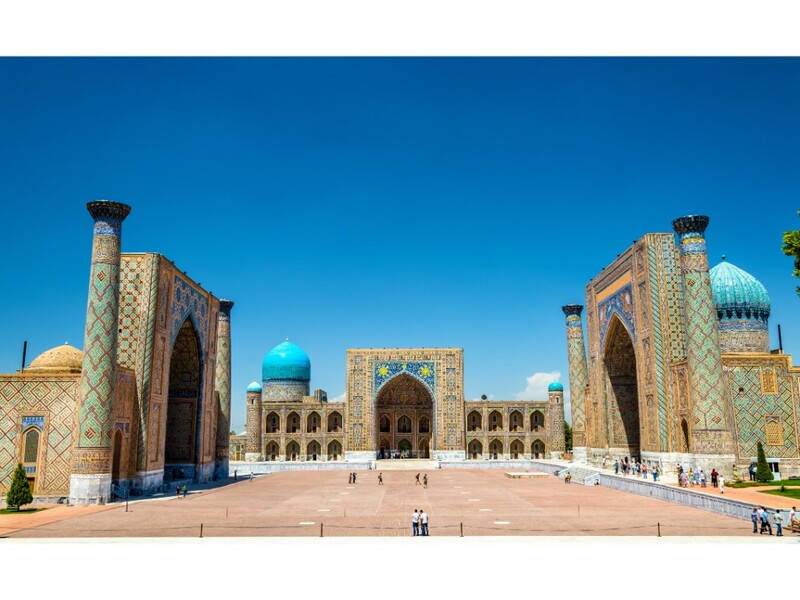 View the three beautiful madrasahs mainly the Ulug-Bek Madrasah built in the fifteenth century; the Tillya-Kori Madrasah built in the seventeenth century; the Sher-Dor Madrasah, also built in the seventeenth century. 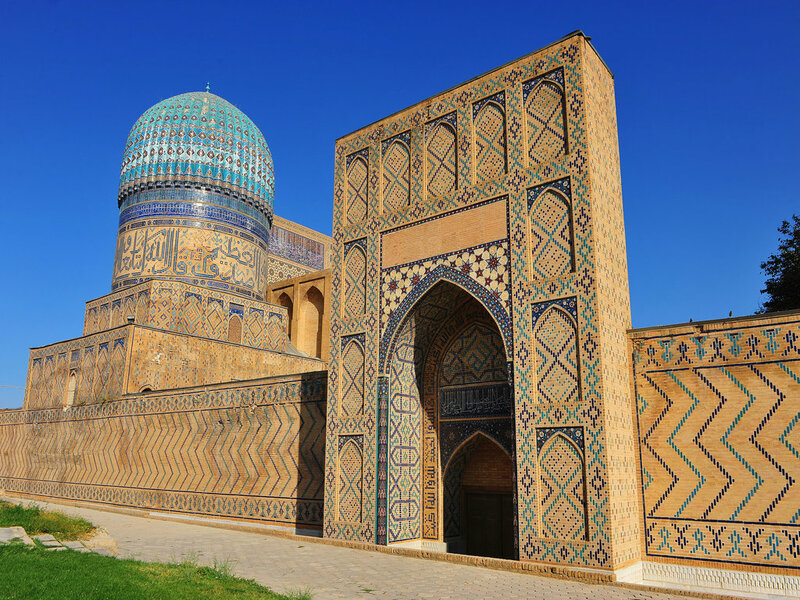 Also visit Gur Emir - mausoleum of Great Tamerlane. 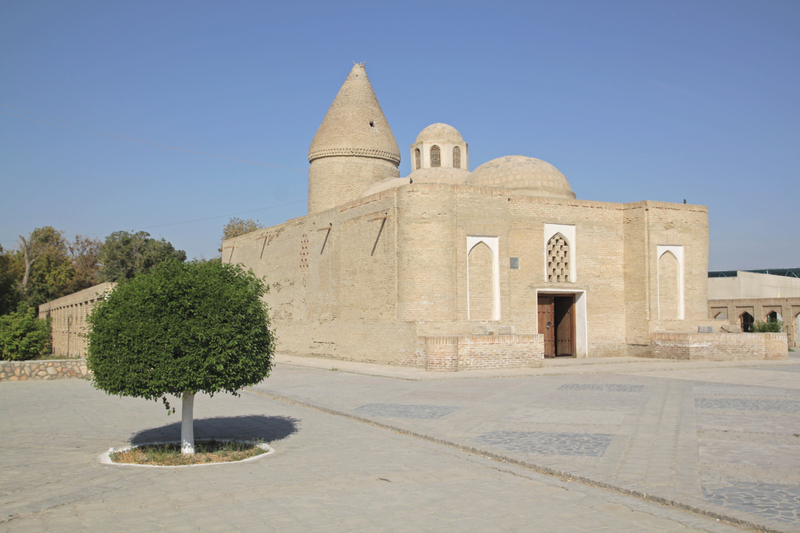 After breakfast, visit Bibi-Khanum Mosque, the grandest structure of Amir Temur’s times. 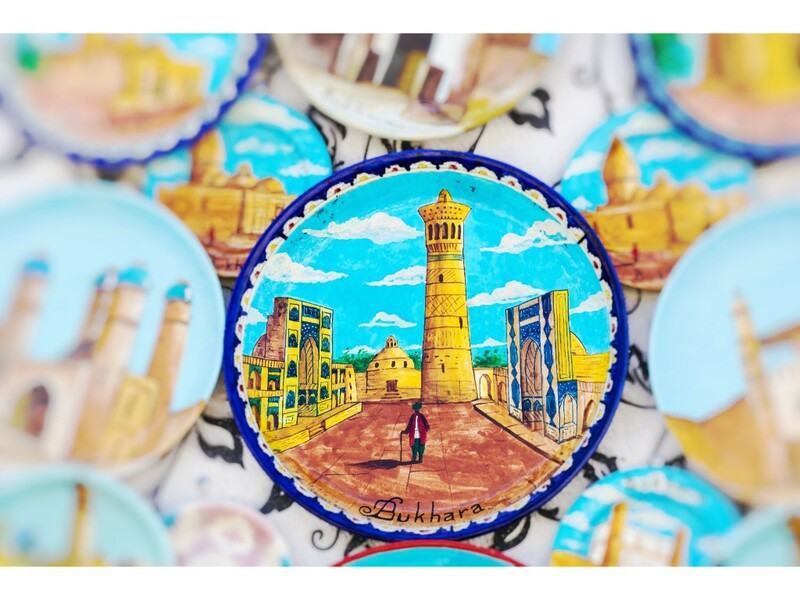 Next, shop at Siab Bazaar for some local delights before you explore Shakhi-ZInda compound. 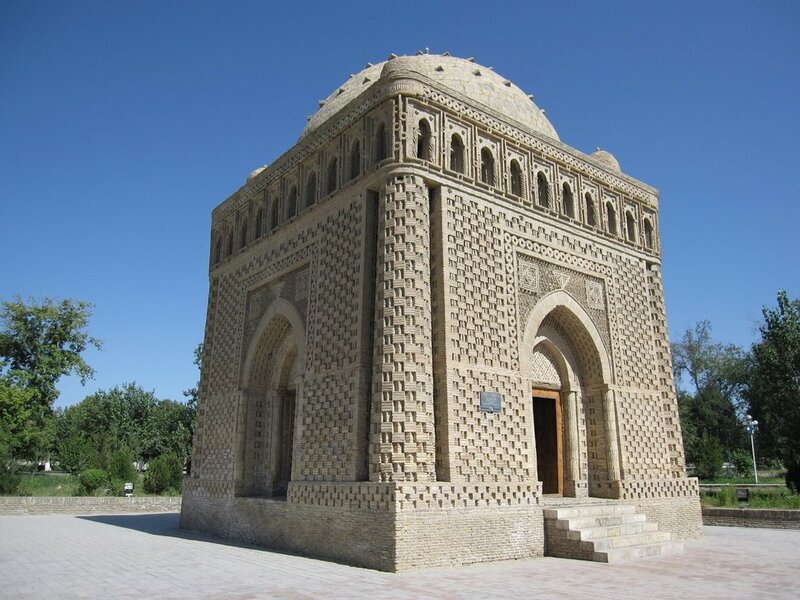 After which, visit Ulugbek’s Observatory, a historical monument built by Ulugbek, the grandson of the great Amir Temur. 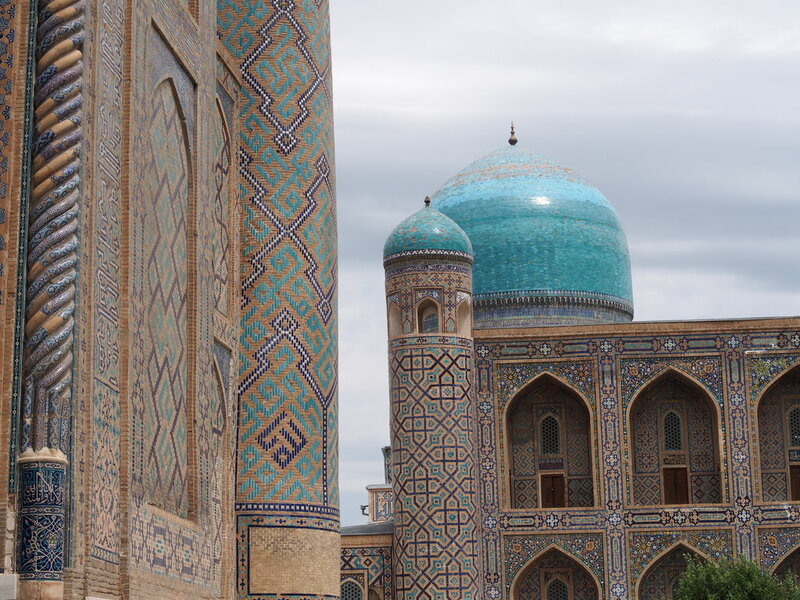 Later in the afternoon, transfer to the railway station for your train ride to Tashkent. Start your day with a visit to the Museum of Applied Arts, located in the Russian Turkestan governor’s old mansion featuring over 7,000 pieces of traditional folk art such as ceramic, glass and porcelain, handmade and machine embroidery, national fabrics and costumes, carpets, varnished miniatures, jewellery starting from the first half of 19th century. 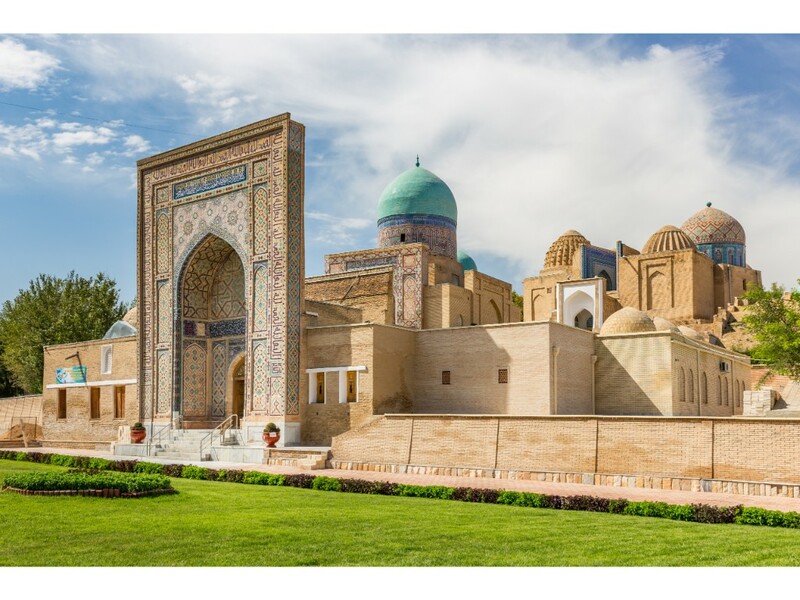 Visit the Mustakillik (Independence) Square, located in the heart of Tashkent and famous Tashkent Metro (underground) decorated with local marble and granite like underground palaces. 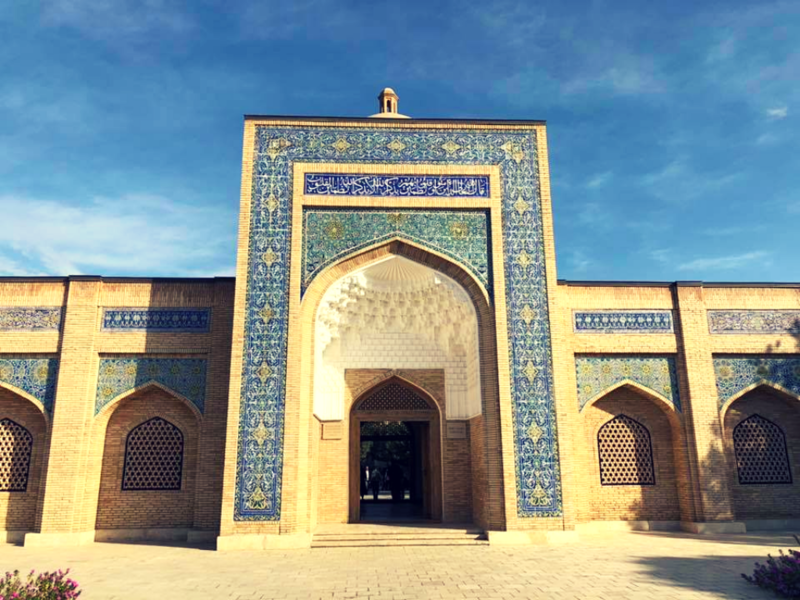 Visit Khazrati Imam Complex, where the world famous Quran of Caliph Uthman – Ottoman and gold hair of Prophet Muhammad is preserved. 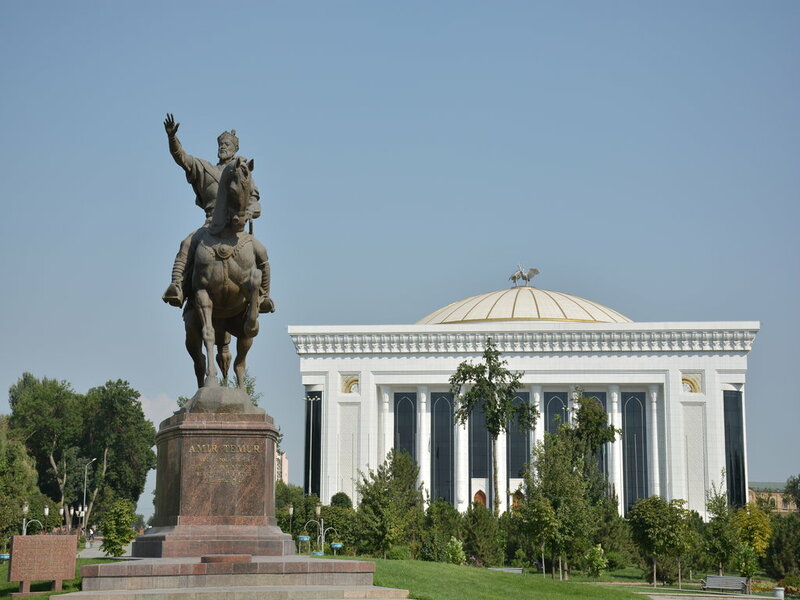 The tour will also include visit to Amir Temur Square, Opera and Ballet theatre square. End the day with some last minute shopping at Chorsu bazzar. 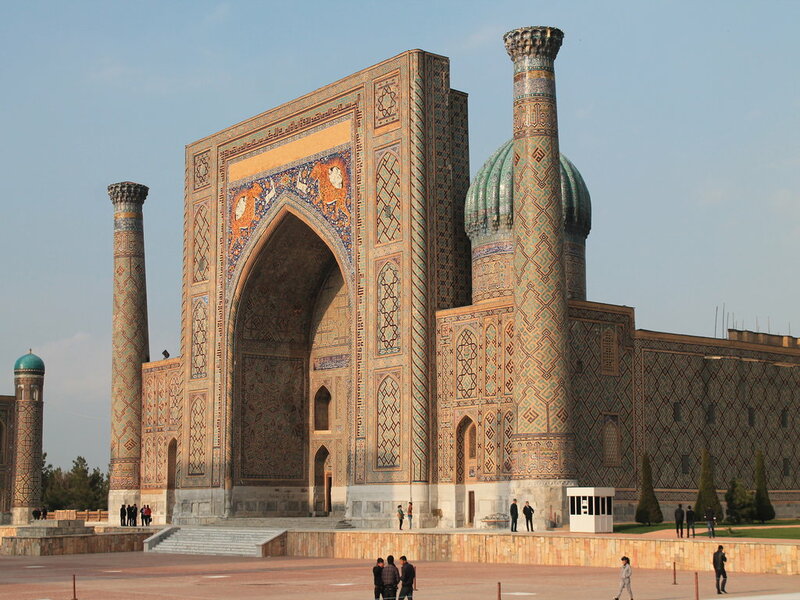 After breakfast, bid farewell to Uzbekistan and transfer to the airport for your flight home.